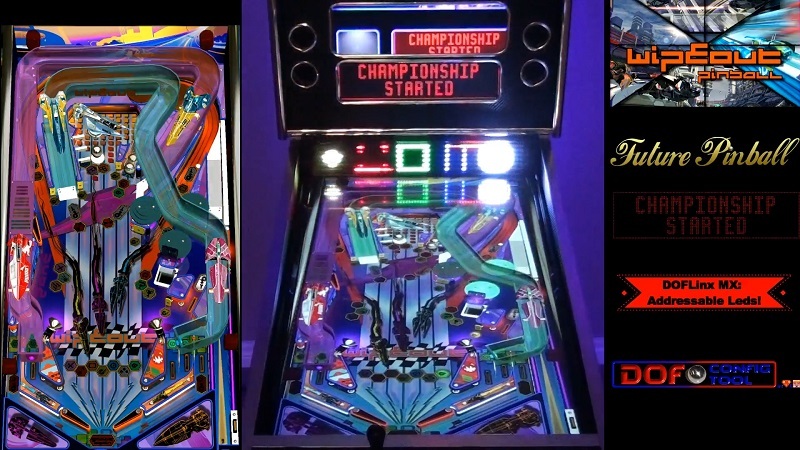 GoPinball.com • View topic - Addressable leds Now Available for FP & FX2 using DOFLinx! Post subject: Addressable leds Now Available for FP & FX2 using DOFLinx! It is a day many have been waiting for! Congrats DDH69 on your hard work! We are also assuming that you already have your addressable leds setup and working with DOF and Visual Pinball before trying out DOFLinx MX addressable leds with FP and FX2. 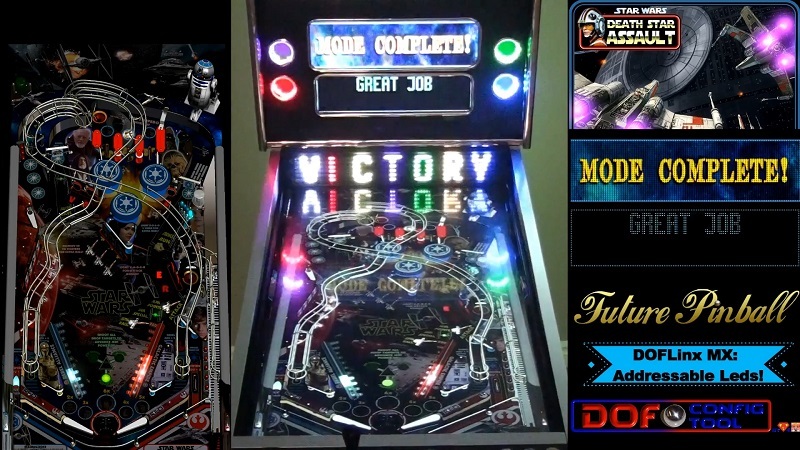 – all Future Pinball tables that I update to support the addressable leds will now be designated with “DOFLinx MX”, “DOFLinx MX Cabinet” or “DOFLinx MX Cabinet Edition”. 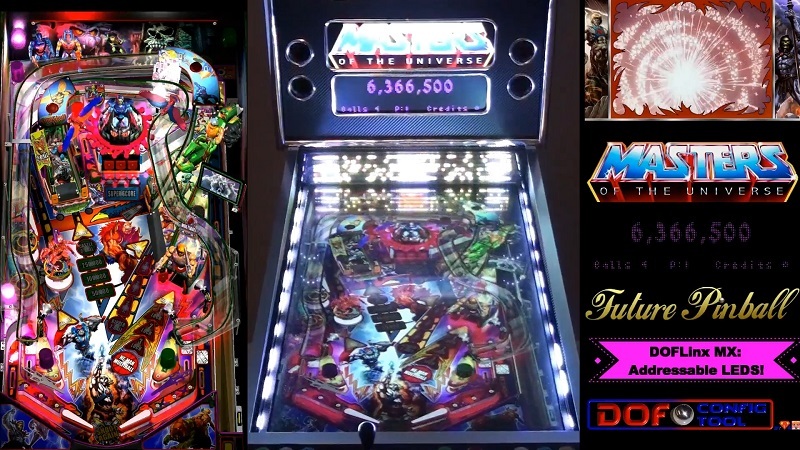 – to use the DOFLinx MX version of a Future Pinball table, you MUST have DOFLinx 5.20 or higher installed. 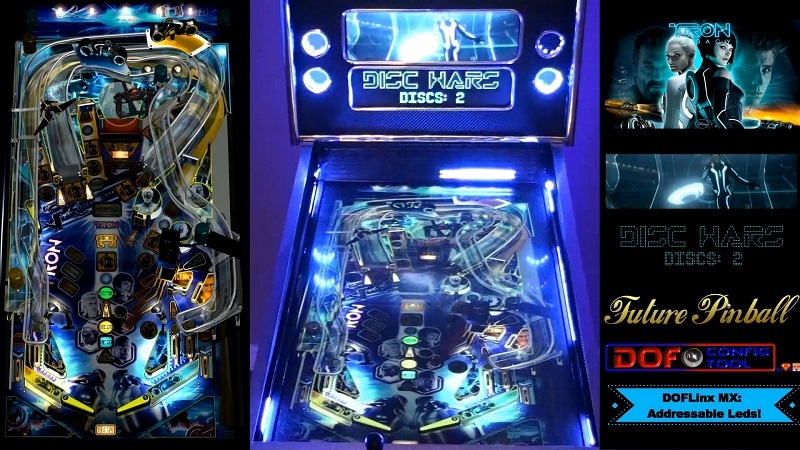 – you do not require addressable leds to use a DOFLinx MX version of a Future Pinball table. The regular DOF devices (solenoids, flashers, strobes, beacons, shaker, etc) will work like normal through DOFLinx. – just because a FP or FX2 table is on DOF Config Tool, doesn’t mean its updated to DOFLinx MX yet. We asked Arngim to add alot of tables at once so we wouldn’t have to keep bugging him to add new tables in the future. The FX2 tables will all get updated by DDH69 progressively. I will update my FP DOFLinx table mods as well. The other tables are tables that will most likely be updated in the future. If there are no DOF commands showing for a table, its not supported yet. – update DOFLinx as per normal (must be 5.20 or higher). 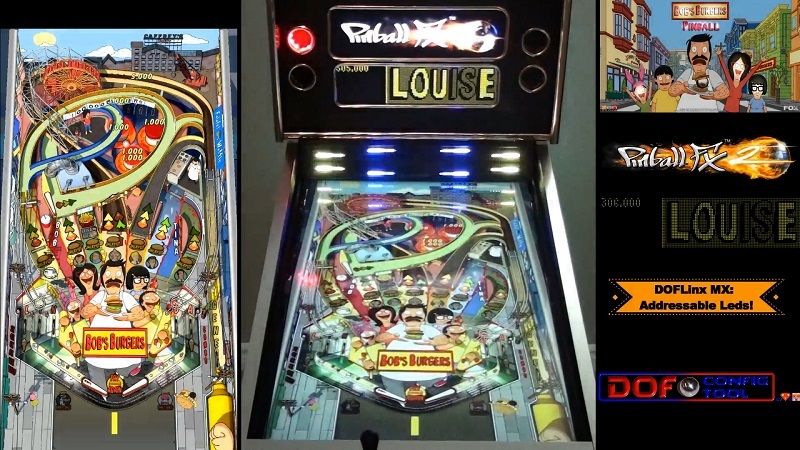 Make sure you copy over the new DOFLinx.vbs to “Future Pinball \ Scripts”. – check DOF Config Tool to see if support for that table has been added to it yet (you will see FP tables start with “FP:”) If there are no DOF commands showing for that table, its not supported yet. – “Generate” a new Config File (containing directoutputconfig30.ini in the zip) and copy the new files to your “DirectOutput \ Configs” folder. 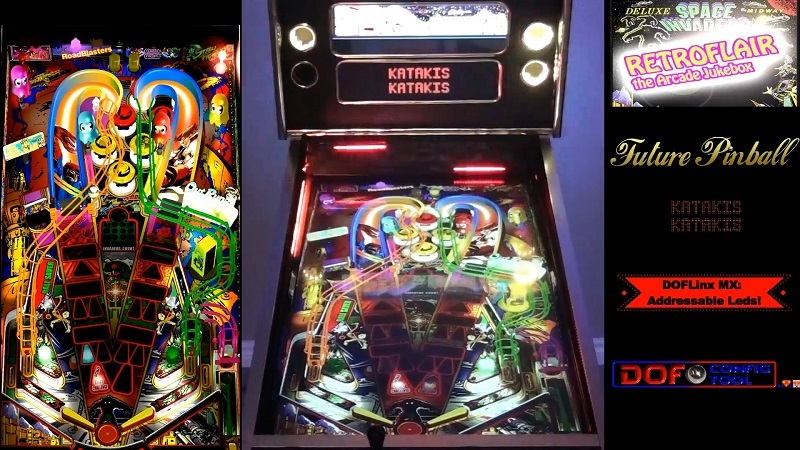 – play the epicness that is Future Pinball and addressable leds! – check DOF Config Tool to see if support for that table has been added to it yet (FX2 tables start with “FX2:”) If there are no DOF commands showing for that table, its not supported yet. – “Generate” a new a new Config File (containing directoutputconfig30.ini in the zip) and copy the new files to your “DirectOutput \ Configs” folder. – play the coolness that is FX2 and addressable leds! – AUTO_MX is intended to give a temporary solution for MX effects (for tables that aren’t updated yet) until all tables are fully updated to proper DOFLinx MX support. – if you enable AUTO_MX=1, you will get “Basic” MX effects for ALL Future Pinball tables and FX2 tables that have normal DOFLinx support. Very cool feature. Do keep in mind that this is not the same as having a table with FULL DOFLinx MX support. These basic effects will all have the same colours used, same effects, same shapes, and won’t have any change in timing, etc. – keep an eye out for updated FP and FX2 tables, as its a big difference compared using tables with AUTO_MX enabled. – the great thing about DOF Config Tool is that you can change MX effects to your liking in your own custom config. You won’t have to do anything with the FX2 or FP table that has DOFLinx MX support. Just make sure you use the same triggers. Bring on the glory of burnt out retinas!!! I wanted to create a list of thank-yous for getting us to this point. DDH69: for creating the excellent and amazing DOFLinx. To think it all started with a little program called DOFFX2 that triggered DOF devices with a key. Then some crazy red-head kept pestering you with endless ideas….and here we are about a year later…. look at what you have done! Swisslizard: for the excellent DOF, and the awesome addressable led features, as well as creating some table effects and examples. Arngrim: for adding in my suggestions and additions of numbers, letters, and characters to DOF Config Tool, as well as adding in support for FP and PFX2 tables. randr: for creating an amazing example of addressable leds with his cabinet, and for all the help he provided me with setting mine up. He also made some awesome MX effects for VP tables for me to learn from and was also instrumental with new ideas for how to use addressable leds. gech: for also creating some great addressable led effects for VP tables. 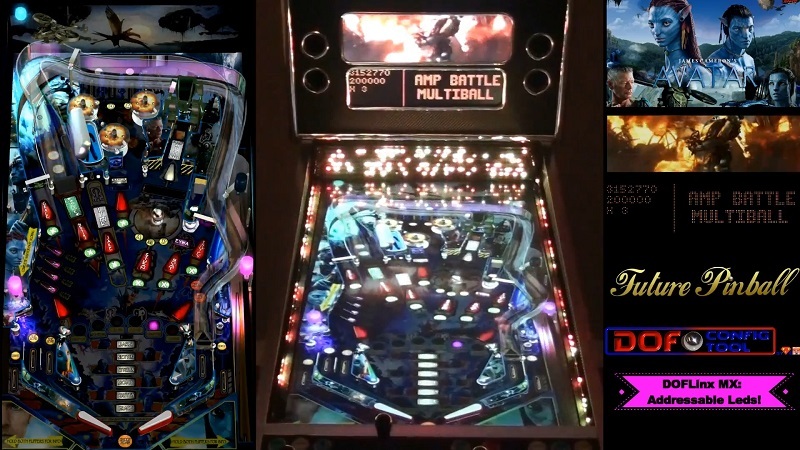 …and anyone else who helped me and was involved in bringing addressable leds to virtual pinball. Witness a modern light show in a retro theme, thanks to the new DOF addressable led MX support in DOFLinx 5.20! Featuring the most stunning particle effects, explosions, and machine gun blasts never seen before in a pinball cabinet!